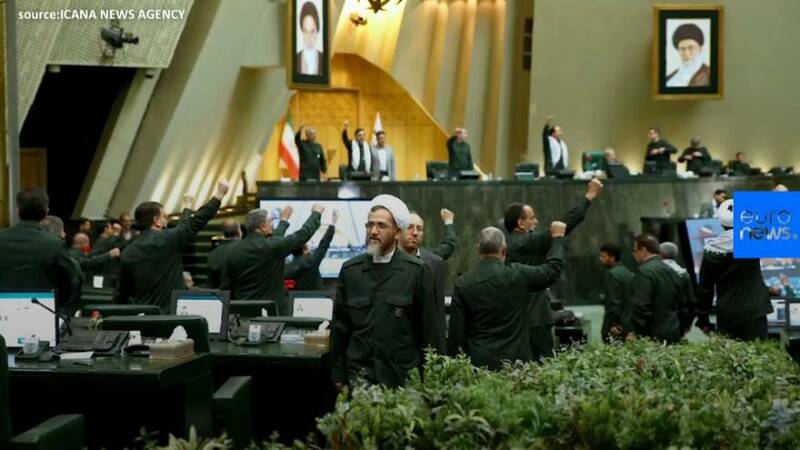 After the US designated Iran's Revolutionary Guards as a foreign terrorist organization on Monday, Iranian lawmakers made a symbolic gesture to show their support to the country's military elite --- they wore Guards' uniforms to parliament on Tuesday as Iran marked the annual National Day of the Revolutionary Guards. "America's decision to label the Guards as a terrorist group was the peak of stupidity and ignorance of the American leadership," Fars news agency quoted Parliament Speaker Ali Larijani as saying. Even reformist MPs took part in the show of support, while female lawmakers wore keffiyehs scarfs, which are also part of the guard's uniforms. Tehran retaliated the designation by naming the United States Central Command (CENTCOM) as a terrorist organisation and the US government as a sponsor of terror. Relations between Tehran and Washington have soured since May last year, when the US president pulled out of a 2015 nuclear deal between Iran and six world powers and reimposed sanctions. The Trump administration says the nuclear deal did not do enough to curb Iranian meddling in regional affairs or restrict its ballistic missile program.